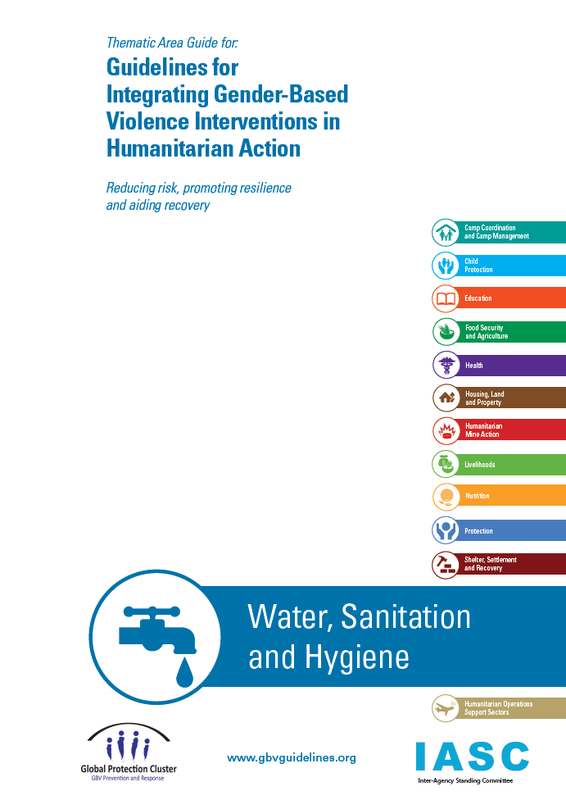 This Thematic Area Guide (TAG) on WASH and gender-based violence is a portable tool that provides practical guidance for WASH professionals working to prevent and mitigate gender based violence in humanitarian settings. Part of the newly-updated comprehensive Guidelines for Integrating Gender-Based Violence Interventions in Humanitarian Action: Reducing risk, promoting resilience and aiding recovery (available at www.gbvguidelines.org), the guidance in this TAG reflects the combined wisdom and experience of colleagues from the WASH sector and the wider humanitarian community. Extensively reviewed and field tested, this TAG is meant to be used from the preparedness stage of emergency response through to the recovery phase.